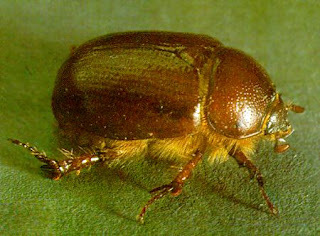 Cotinis mutabilis, also known as the "green fruit beetle" or "fig beetle" and also as "junebug", is a member of the scarab beetle family. 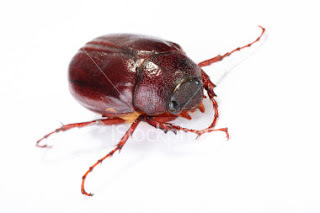 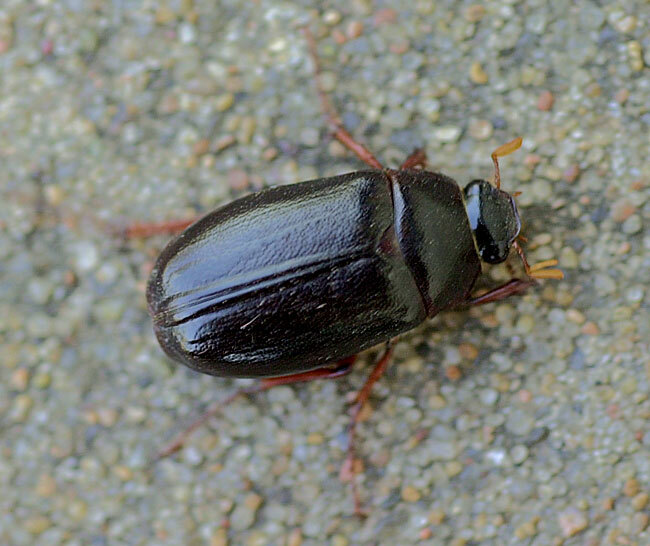 It belongs to the subfamily Cetoniinae, comprising a group of beetles commonly called flower chafers since many of them feed on pollen, nectar, or petals. Its habitat is primarily the southwestern United States and Mexico. Figeater beetles are often mistaken for green June beetles (Cotinis nitida) and Japanese beetles (Popillia japonica); however, they do not damage lawns and fruit crops to the same extent as their eastern cousins. Adult figeater beetles grow to approximately 1.25 inches (3 cm). 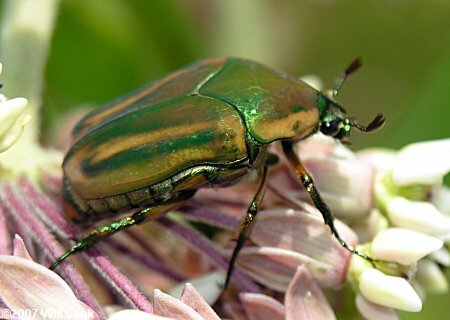 They are a dull green on the top and a brilliant iridescent green on the underside and legs.